1 tube of choice – I used the adorable artwork of Fania-Love and can be purchased from Digital Art Heaven. 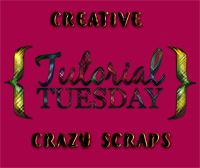 “Blueberry Hill” is a PTU tagger size scrap kit created by me, Bev of HorsePlay’s Pasture Designs and can be purchased from Digital Art Heaven. 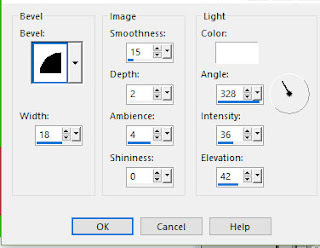 Delete the to 5 layers and Dotted Lines layer. Click the lock icon at the top of the layers pallet to lock this layer. Click the lock at the top of the layers pallet to unlock the layer. Highlight Right Purple Rectangle layer. Left and Right Purple Rectangle layers should now be on the same layer. Paste Paper 6 as a new layer (it should still be in the program’s memory). In your layers pallet, highlight the merged template layer. Use your Magic Wand and click on each rectangle. 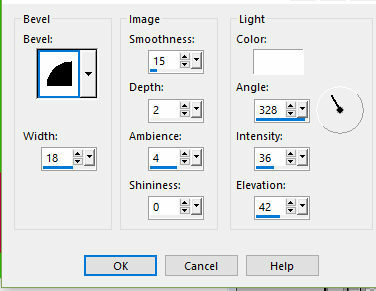 In your layers pallet, highlight the paper layer and right click on it. Delete the original paper layer. Make your Selection Tool active set on Rectangle. Press Ctrl + H on your keyboard. Feather Selection box will appear. Press Shift + B on your keyboard. Make your Magic Wand active and click anywhere outside of the rectangle paper. Copy and paste Paper 4 Into Seleciton. Copy and paste Paper 12 Into Selection. Change the Properties of this paper to Burn. Copy and paste Paper 5 Into Selection. DO NOT close out this paper as we’ll be using it in the next step. 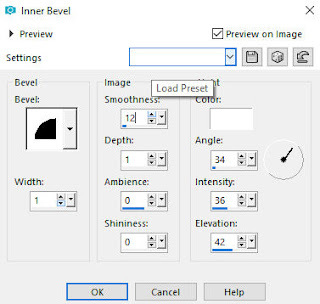 Click the icon at the top of the layers pallet to lock the layer. Section off a small dark blue area of the paper. (I used a section near the top next to the white scroll print). In your color pallet, set the foreground to Pattern and look for that sectioned off blue area. 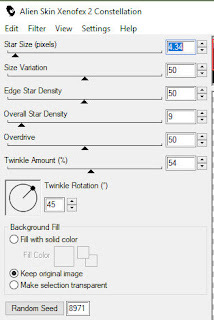 New Raster layer below the star. Flood fill with the blue pattern. Repeat the above step with Blue Star. Copy and paste the tube as a new layer over the paper layer. Move into a position you like. Change the Properties of the tube to Soft Light. Duplicate this layer. DO NOT DELETE THE TEMPLATE LAYER. Repeat the above steps accept use the image of the bunny rabbit this time. 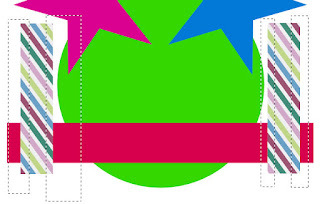 Merge together both the Blue Star and Pink Star template layers and then move them to the top of your layers pallet. Copy and paste Paper 12 Into Selection. Feather Selection Box will open. Duplicate the feathered paper layer 2 times for a total of 3. Rename them C1, C2, and C.
Repeat the above step accept hit the Random Seed button once. Highlight the merged star template layers. Click anywhere outside of them with your Magic Wand. Highlight the layer and then tap the delete key. Close out C2 and C3. Duplicate and change the Properties of this paper to Multiply. Duplicate and change the Properties of this layer to Multiply. Barely bump the bottom of your name with the Target Tool just to give it a slight blue tint. Make your Freehand Selection Tool active. Section around the blue tinted area making the line wavy – NOT NICE AND NEAT! The Feather Selection box will open. If you don’t want to animate your tag then save. If you’re happy with it then save.